and I'm not sure if there's a compatible GD-03 unit with matching fascia, can anyone advise if it's possible? I've noticed this for sale in a wreckers, it's got the wrong shape at the bottom so no good for me but is there a GD-03 head unit that will match my fascia shape? 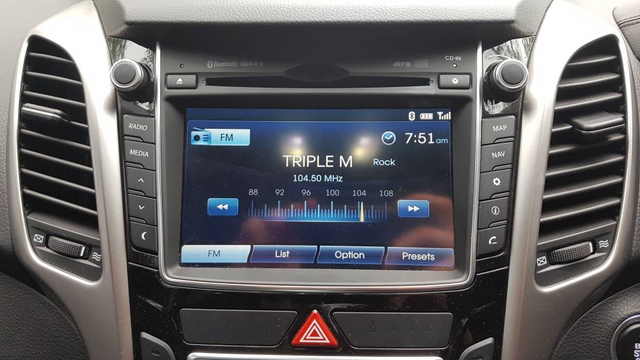 Frankyg, the NAV units have a slightly different shape surround so a GD-03 unit will not fit your car, you might be better off looking at a third party aftermarket system which I’m sure a local car audio shop could help you out with some advice. 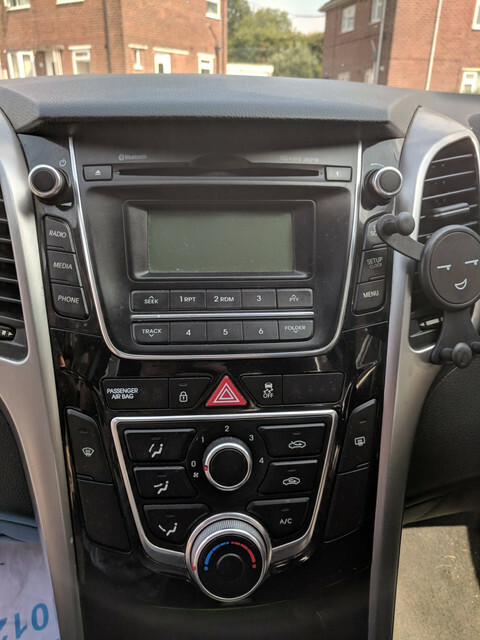 Some members here have also replaced their system with Android units which generally require aftermarket wiring harnesses and sometimes a new centre fascia. I am planning to buy this 2016 i30 set nav unit for this trip. can someone please confirm if it is possible on this version? I can't see any mention of the GD-03 part number. I understand that I will have to source the Aux-USB assembly and cable separately. 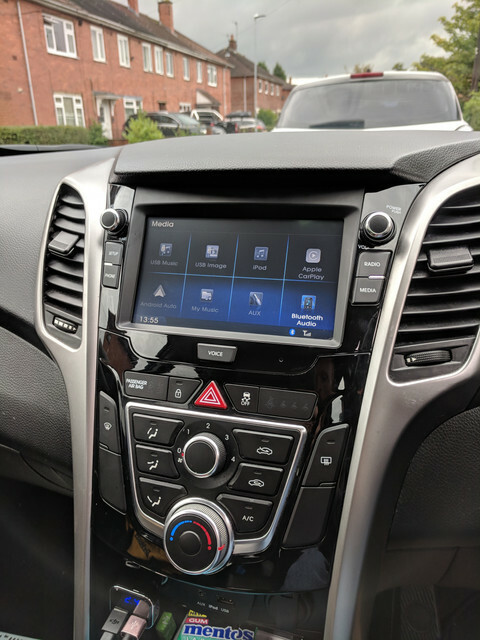 I want to upgrade the head unit on my 2013 i30 ( UK) to enable apple car play. Also, can some one please confirm if apple has sorted the noise issue yet? 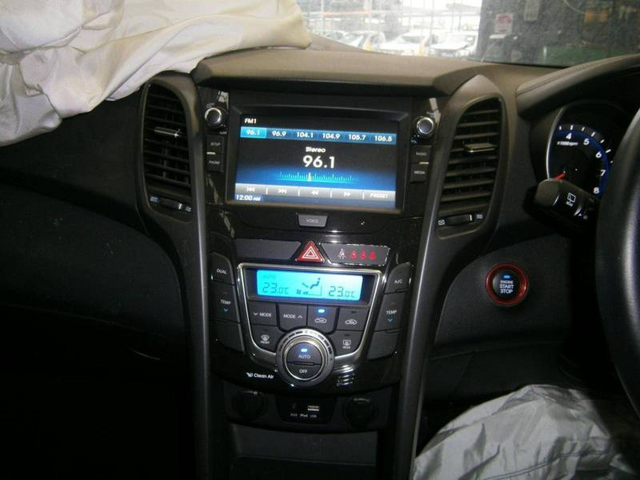 The picture you linked is also a satnav unit, specifically a GD-03 doesn’t have satnav or a CD player. Lastly, yes the CarPlay noise issue was fixed with the recent .10 software update from Cartronics. I upgraded my unit to the GD-03 from the image below. If yours is the same, then the sat nav unit will not fit the fascia correctly. Thanks for your feedback guys. I currently have the non sarnav version in my car so I think GD-03 should fit. Stanvac is asking for 550 aud including shipping. Is the reasonable ? I emailed ultimatejap but didn’t receive any reply. Is there anywhere else I can source it from ? If Stanvac are going to ship internationally for you then I'd stick with them, currently their GD-03 units are going for $400+, due to the high demand of these units now they are getting rarer so with shipping included to UK I think that is a reasonable asking price $550au = 312GBP. Legend! Thanks once again mate. I will go ahead. Having a bit of a problem here. How is your experience dealing with stanvac? They had 1 GD-03 system in stock for which I paid via western union money transfer on 18-Dec. However, soon after, they have disappeared from radar and stopped replying to my email in last 2 weeks . Western union has confirmed money was deposited in receiver’s account. However, despite my repeated emails to verify the transfer and status of the shipment, stanvac haven’t replied to a single email. I think I was n correspondence with someone called Dale. Hi Tapan, sorry to hear about your issue. Hopefully another member who has dealt with Stanvac can offer some additional guidance and I really hope you are able to resolve the issue. I really hope this is just a snag with them mate and you get it all resolved! Tapan, Stanvac are very reliable from my experience, you’ll probably find your package is already on its way. Being the holiday season it’s very likely many of their staff are away or they might even shut down for a short period. Thank you guys. They specifically asked to transfer to thier bank account- I personally do prefer PayPal. I am still waiting to hear back from them. I have chased few times - hopefully someone will reply soon. I am concerned as it’s been more than 2 weeks now. @tapan.aviator if you pm me your name and order number I’ll give them a call and see if I can find out what’s happening for you. Yep. 3 cheers for Craig! Thanks once again Craig for your help in this - really appreciate it. i had a long conversation with Parcelforce and they claim now it is too late to reverse this (also as it wasn't due to their fault). Had, stanvac sent me tracking number on time, i could have monitored to the progress of the shipment and could have stopped the parcel from being returned. I have already paid 550 AUD, and don't think could afford to spend any more on the shipping again. Hopefully, stanvac should be able to absorb the additional cost considering it was their mistake. If you have any trouble getting through to them again let me know and I'll see what info I can gather from this end. Don't neighbour know you or know of you? #25 would usually either be across road or if sequentail numbering, next door. Also posty/royal mail here usually know people by name if address slightly wrong..... Unless new/temp staff. You would have thought if the neighbour recognised the name they would have taken the parcel and then just handed it over. Not all neighbours no each other unfortunately and therefore just return to sender stuff. Assume the address was correct on the order confirmation email? Also assume there was no shipping confirmation email? As you say had you seen the shipping confirmation had the wrong address or had a tracking number you could have intercepted it and / or spoke to the neighbour and made provision for it not to be returned. I've had a couple of parcels recently which stated that the recipient must be the signatory, otherwise they had to be RTS. Thanks everyone. I have sent stanvac an email explaining the situation- waiting to hear back currently. By now they shipment would have been returned to them I would assume. Just wanna day a massive thanks to all the contributors in this thread. My 2012 GD01 suffered from sudden loss of audio output last weekend, and a quick google search led me here. I managed to pickup a GD03 head unit and USB point from ultimatejap for $170. Fitted it tonight following this guide, took me about an hour and it’s better than new! Much more functional, and better sound quality to boot! Haven’t got the USB hooked up, as unfortunately the supplier cut it. But will order from KORAPs this week, unless someone has a local source for one? Given that the satnav units are different shape. wouldnt a gd-03 and surrounding panel fix the issue? might cost more, but should work? we should ask our wrecker friends of the panels/fascias have the same attachment points.